Game on, Apple, Samsung and Google. They may currently be dominating phone buyers' attention with their latest updated smartphones, but remember, they are far from the only options. While all three compete on top-of-the-line specs, latest entrant Razer has its sights set on a specific target: entertainment. The gaming company, which doubled its size since last year to 1,500 employees, has built a rabid online following in the gaming community for its peripherals and PCs. 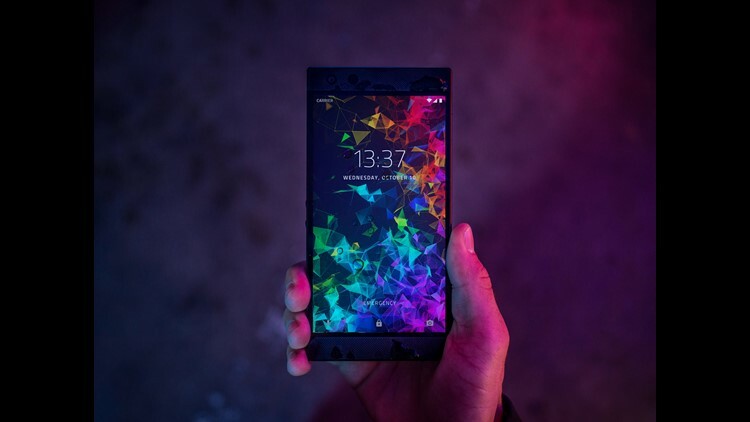 Now its back to trying to establish itself in the smartphone space with its latest phone, the Razer Phone 2. Available for preorder Thursday for $799 unlocked (compatible with AT&T, T-Mobile and Verizon), Razer's new device is priced in a similar range as Samsung's Galaxy S9+, Google's Pixel 3 and the soon-to-be-released iPhone XR. On a specs front, it rivals those devices as one would expect in a device at this price point. More: We dropped an iPhone XS into beer, wine, soda so you don't have to. How it fared. Under the hood is a Qualcomm Snapdragon 845 processor with 8GB of RAM, 64GB of storage, wireless charging and support for the latest LTE networks. The rear cameras, a weakness on the first phone, have been revamped and are now two 12-megapixel Sony sensors centered in the middle of the phone with additional improvements made to the phone's imaging software. The 8-megapixel front camera can stream video at full HD resolution. 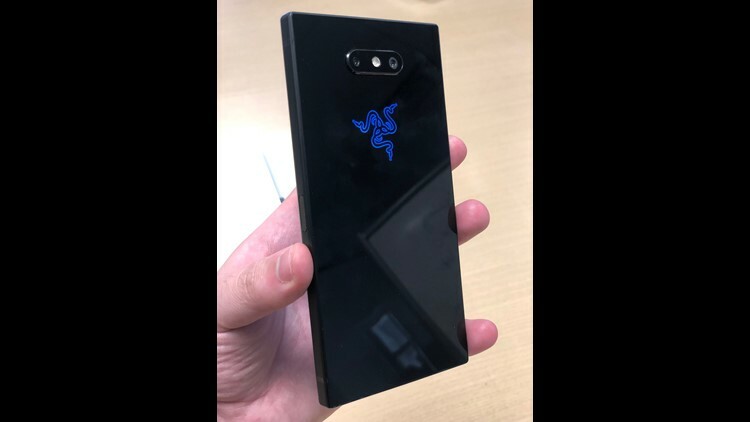 But as with last year's phone, Razer is betting on its phone's display and design to distinguish it from others on the market. There's no notch or edge-to-edge display, a trend seen across many of the 2018 phone offerings. And although the phone features a similar design to its predecessor, there are some seemingly small – but still welcome – adjustments. The 5.72-inch display is now 50 percent brighter and continues to run at 120Hz, a higher refresh rate to make games, videos and day-to-day tasks such as scrolling smoother than traditional 60Hz displays found on other devices. The front stereo speakers, found along the top and bottom of the phone, have been boosted as well. Gaming on the Razer Phone 2. It is here that Razer hopes to find success among gamers and video watchers. "When everyone zigs, we have kind of zagged," Razer CEO Min Liang-Tan says. "It's not bezel-less and stuff like that. Why? Because if you hold a bezel-less phone you realize that it is really hard to play with the joysticks at the edges," Tan continues, noting that the company kept the bezel for that gaming comfort and to add stronger speakers to appeal to Netflix and YouTube watchers. 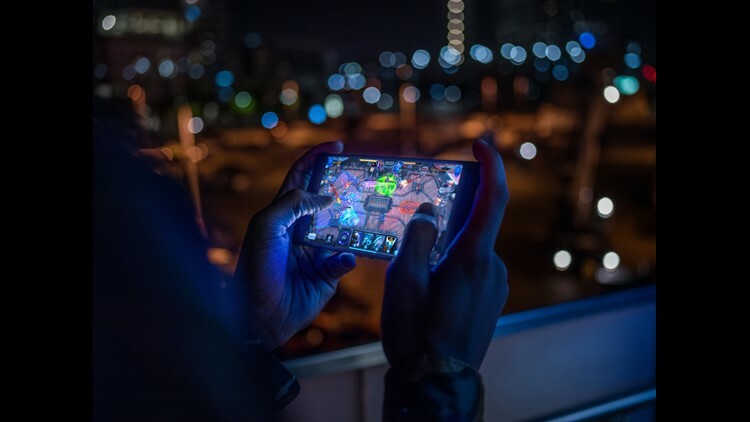 While it is continuing to try and broaden its appeal to nongamers, Razer is still hoping the Phone 2 is embraced by its core gaming audience, particularly as the market of mobile gaming continues to grow. To call the company's fan base, currently at more than 8.5 million followers on Facebook and more than 3.17 million on Twitter, passionate is a bit of an understatement. While it was only released in November, last year's first phone had such anticipation that it was the fifth most-popular consumer tech device searched for on Google in the U.S. in 2017, behind the iPhone 8, iPhone X, Nintendo Switch and Galaxy S8. One fan last year got a picture of Tan tattooed on his body in a bid to get a free Razer Phone. "He was that passionate about it … it was pretty cool," says Tan, who did give the fan a free device. 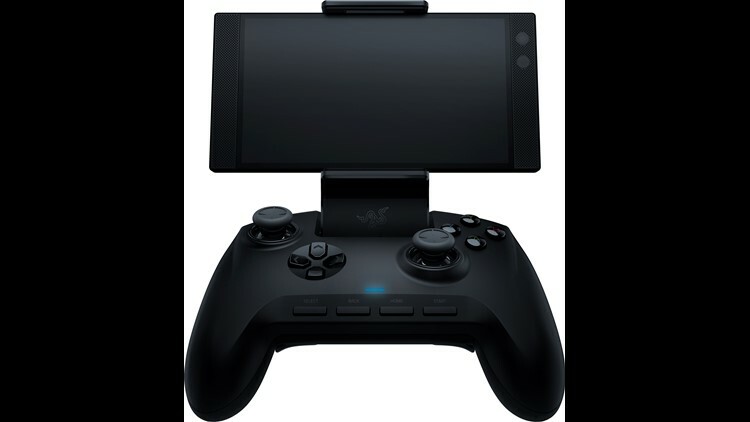 The Raiju Mobile controller for the Razer Phone 2. The new phone will be optimized for a number of current popular games including "PUBG Mobile," "Marvel Future Fight" and "Guns of Boom" and will feature the company's Cortex app to optimize performance and allow presets for games. As with the company's laptops, a vapor chamber cooling system is inside to keep the phone cool while playing – a feature gaming fans appreciate. A new controller, called the Raiju Mobile, will allow users to mount the phone atop a more traditional controller. The Raju Mobile, however, won't be cheap at $149.99. One thing sure to please longtime fans: a new light-up Razer logo on the back. Using the company's Chroma platform that lights up its accessories for gaming peripherals, users can have the logo change colors to reflect new notifications. A new WhatsApp message will turn the logo green, or a new Facebook notification could turn it blue. Users can also customize the lighting to cycle through colors or remain a color of their choosing. The logo of the Razer Phone 2 can light up and change colors. In a brief hands-on, the phone did seem smoother with games such as "Drive Club" looking crisp, though the biggest improvement could be the brighter screen, which was noticeable watching "Black Panther" on Netflix. The camera seemed better, but that will require more testing, particularly in environments beyond the conference room I was in. As for how it will fair, Tan remains optimistic. "The (phone) market is just wide open, I think, at this point of time. Our big difference … our focus is on the 2 billion gamers out there. We know our demographic."